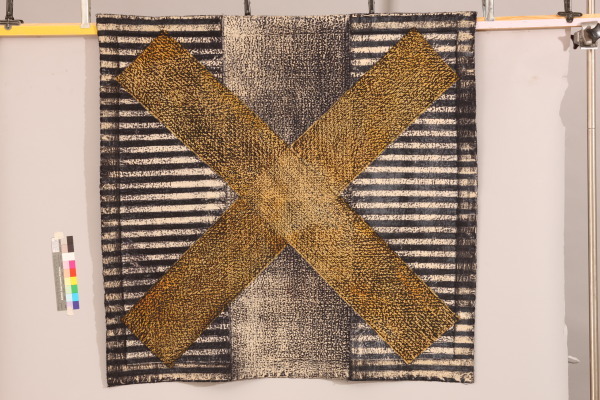 Cotton and silk wall hanging, with a yellow cross with gilt dots in the centre of a striped black and white background. 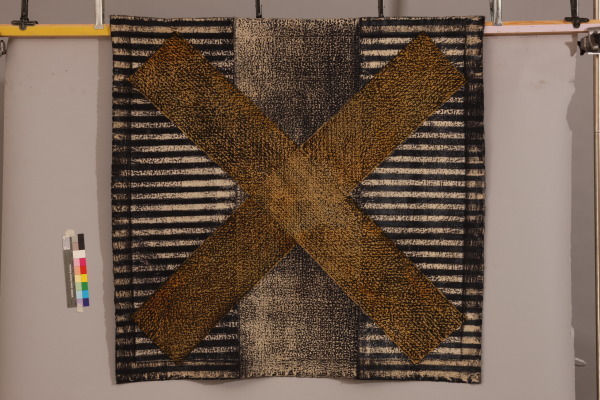 Cotton, silk, dyed with black reactive dye, quilted in layers, adding silk cross last. Total black piece is then discharge printed. 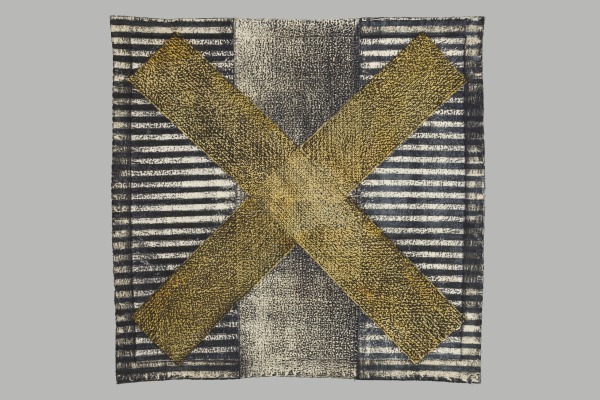 Yellow Cross, Diana Harrison, 1991, Crafts Council Collection: T109. Photo: Heini Schneebeli. A very recent and experimental piece, possibly not repeatable. Rather uncontrolled in technique.